Rome's historic centre lacks the wide boulevards found in other European capitals. Its warren of cobblestone lanes can confound even the most experienced drivers, and the cars of the centre have the scratches and dings to prove it. While the city's medieval alleys were built for pedestrians rather than vehicles, traversing Rome on foot can be a time-consuming (but lovely) undertaking. 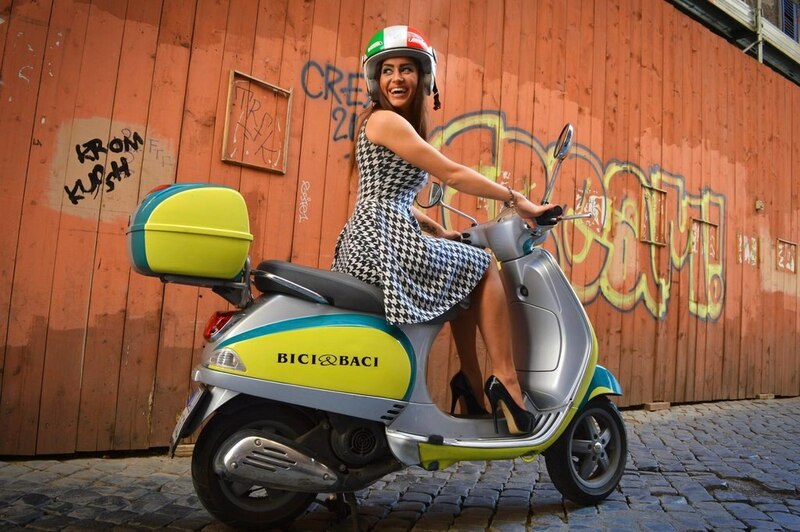 With ancient streets and the heavy traffic of a modern metropolis, the best way to zip around Rome is also the most iconic: by Vespa. 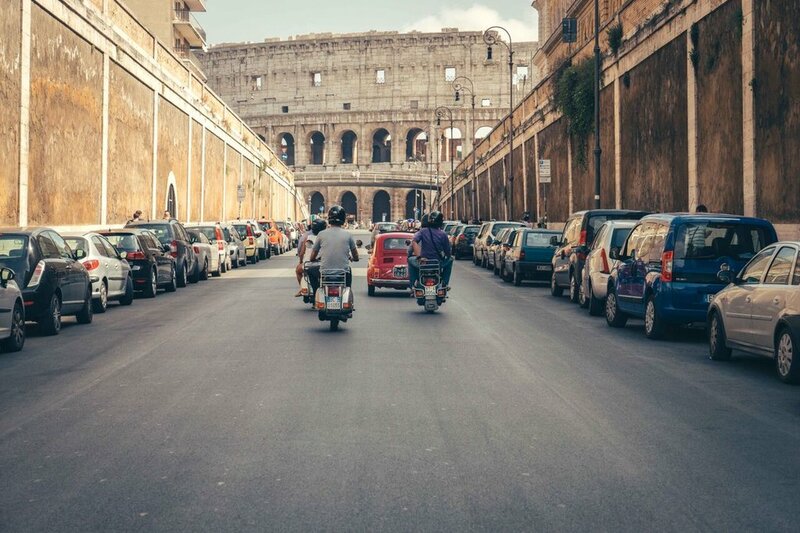 From hiring transport to touring the entire city, here are the best ways to see Rome by scooter. 1. Take a two-wheeled taxi: Save taxi fare by calling a scooter instead of a car. 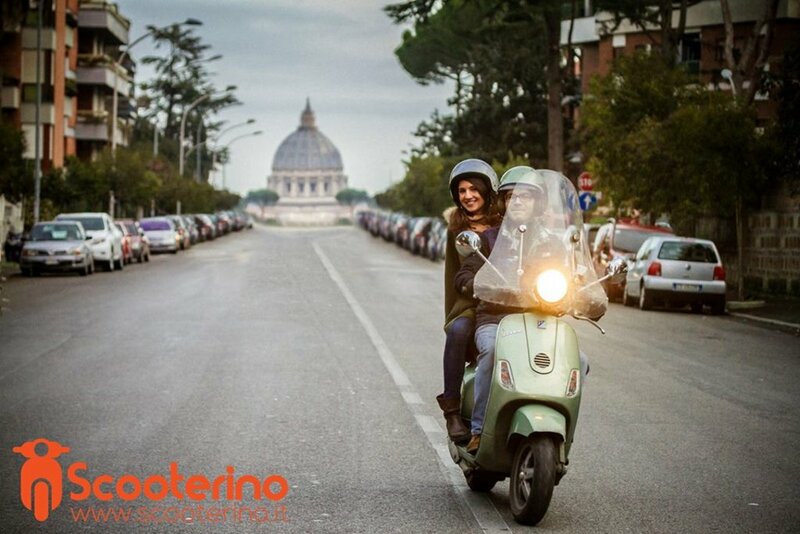 Use the Scooterino app to request a lift and your driver will arrive with an extra helmet. The driver will take you anywhere within the city limits, with most fares ringing in at less than €5 (£3.80). You can cut through traffic and wave goodbye to the poor saps waiting for the bus, while you weave your way to your destination. 2. Roman Holiday: Scooting while commuting might give you a glimpse of the city as you whizz by; however, the best way to soak in the sights is to take a Vespa Tour. Rome is a fairly compact city, but it is also large enough to accommodate a population of 3 million. The four-hour tour from Scooteroma will have you perched behind an experienced guide for an incredible Roman Holiday experience. As you are chauffeured dolce vita style, you will see some of the most far-flung and often-missed corners of the city. Cruise by the Colosseum before continuing on to baroque churches and ancient aqueducts. You'll hop off the classic bike for a sweet break at a gelateria, before ending the day high atop a hillside for the perfect view of the Eternal City. 3. Follow the leader: Experienced drivers can still take a tour while manning the handlebars themselves. Meet the Vespa tour leader on iconic Via Veneto to pick up your very own scooter. The self-driven tour has all the perks of an experienced guide, but this time you get to set the pace. Pick your preferred itinerary and start your engines. You will learn about the history and modern day culture of Rome at each stop, and be fully in control in between. 4. Solo style: Romans seems to understand the rules of the road innately, but even walking at a zebra crossing can be an adventure for visitors. Rome is not the place to learn to drive a scooter, but experienced Vespa-lovers can rent a motorino at several locations throughout the city. All you need is a valid driving licence and you can hire a scooter with up to a 125cc engine. Make sure your rental includes a helmet, as well as proper insurance paperwork. For a start, try Bici e Baci or Roma Renta Bike. 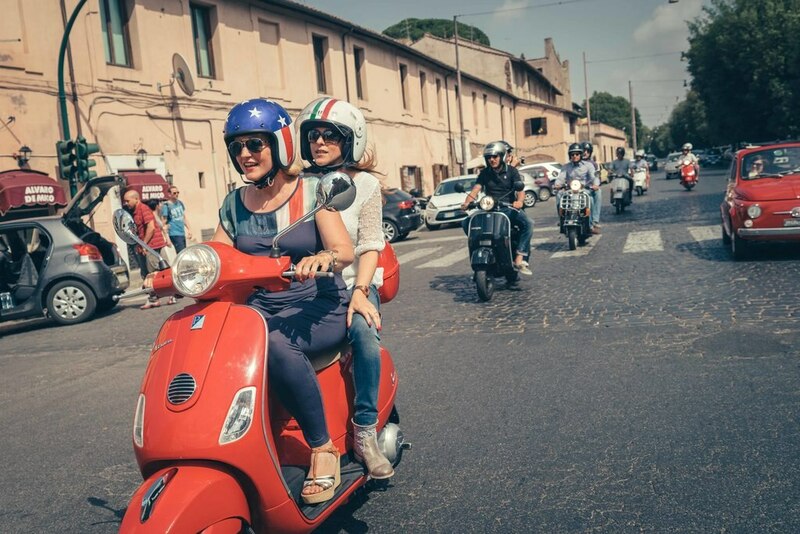 Ready to explore Rome from the seat of your scooter? Take a look at our Rome hotels for the best deals.